A “newspaperman through and through” who edited a regional daily for 15 years has died aged 89. Tributes have been paid to Roy Wardale, left, who served as editor of the Southern Evening Echo from 1972 until his retirement in 1987. Roy oversaw the Southampton-based daily’s transition from hot metal to computer setting and also presided over the newspaper when its circulation topped 110,000. In 1980, he was also made editor-in-chief and became editorial director on the main board of Southern Newspapers, where his mission was to protect his editorial staff – including 100 on the Echo – from any proposed cuts. Born in Portsmouth and educated in Salisbury, Roy began his career on the Salisbury Journal before moving to Southampton in 1952. He served in roles including chief leader writer, features editor, diary editor and assistant editor before moving into the editor’s office. Annie Bullen, Roy’s partner for the last 33 years and a former Echo journalist, described him as a “newspaper man through and through”. She said: “The daily conference in the editor’s office directed the coverage given not only to the main city edition, but also the regional editions which covered areas as far afield as the Isle of Wight, Fareham, Gosport, Andover and Basingstoke. 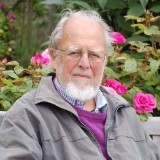 Roy served for five years on the advisory council of the Independent Television Authority and was a member of the Western regional board of British Telecom, before it was privatised. He was a member of the Council of the Guild of British Newspaper Editors, a member of the Parliamentary and Legal committee and twice chairman of the Wessex Region of the Guild. After retirement from the Echo in 1987, he joined the staff of the Press Council during its transition to becoming Press Complaints Commission, working with local, regional and national editors of papers throughout the country. Later he lectured in journalism and wrote a large part of a distant learning package for the National Council for the Training of Journalists. After a brief marriage in the early 1980s, Roy met Annie and became honorary step-father and friend to Sophie, Lucy and Toby and, later, a much-loved “matey” to six step-grandchildren, Joshua, Marley, Ben, Rafe, Jacob and Freyja. Away from journalism, Roy enjoyed riding his horse George around the north Hampshire countryside, eating and talking with friends, helping restore and develop a large garden which he and Annie opened for charity, walking, reading and enjoying holidays by the sea. Roy passed away on 13 July. Roy was a lovely man and a great journalist. When I edited the stable of free newspapers from the then head office of Southern Newspapers at Above Bar, Southampton, Roy would often pop by my office with encouragement, advice and good humour. I always counted myself extremely fortunate to have an Executive Editor who was constantly supportive of my endeavours. As the years went by and managements came and went I realised that Roy was quite unique in this regard and, as such, he will always hold a special place in my memory. RIP Roy and, of course, my sympathy and thoughts are with Annie.